There’s no question that grilling can produce some of the most delicious dishes you’ll ever taste. What some might be unaware of is that they can also be the healthiest. Grilling or BBQ offers a lot of health benefits, more so than other cooking methods (even if you aren’t cooking organic). Not only is your meat full of flavor and juiciness, you also get to cook with less fat. Aside from the health benefits and the amazing taste, a grill means a cooler cooking environment and a cleaner kitchen. Yes, a grill can get very hot. But being outdoors with all that fresh air, maybe a slight breeze, is a great deal better than slaving over a hot stove indoors. And the fact is, when you do some outdoor cooking, you usually only have to clean your grill instead of scrubbing pots and pans as well as wiping your countertop and stovetop. And some grills even have a “self-cleaning” mode. How about that? But the best thing about a grill is that it is very versatile. It’s not a one-trick pony – for grilling burgers, brats, and steaks whenever you wish. You can literally cook just about anything on your grill. Meats, seafood, veggies, fruits, pizzas, pies, cakes, bread, etc. You just need to know how. Whether you’re a backyard dabbler or a serious griller, you obviously want to create BBQ perfection with your grill. You also probably want to know how you can do more with your grill than just what you’ve seen on TV (or anywhere else). For some of the experienced ones, you’re probably wondering how you can up your grill game even more. Well, if you want expert grilling tips, tricks, and techniques, the best way to get them is from a professional. Someone who has tested and perfected the art of BBQ. Obviously, the easiest method of learning from these experts is from watching them or going to their classes. But if you can’t, then get the next best thing – buy books. Cookbooks, that is. A lot of outdoor chefs share their know-how, from firing up a grill to cooking the perfect steak, and their favorite recipes through these books. But there are thousands out there! How do you know which one you should choose? Frankly, it can be hard because everyone has different needs/requirements. But we decided to take on the task of finding the best cookbooks that explore the world of BBQ and give both novice and seasoned grillers something to chew on. With our selection, you’ll get a lot of information on grilling basics, from coal arrangement to do’s and don’ts. You’ll improve your skills in prepping food (i.e. how to butterfly porkchops) and using your grill (i.e. direct and indirect cooking). You’ll even get a deeper understanding of the science of the barbecue – how heat, fire, meat, smoke, etc. all come together to create cooked perfection. Best of all, you’ll also learn how to cook like the masters of the grill. When it comes to grilling and BBQ, there’s nothing that Meathead Goldwyn doesn’t know or hasn’t explored. In this book, he explains how food interacts with fire, heat, and smoke; debunks several popular grilling myths; gives tips on rubs, spices, and marinades; shares tricks on calibrating a grill, cooking with a rottisserie, etc. 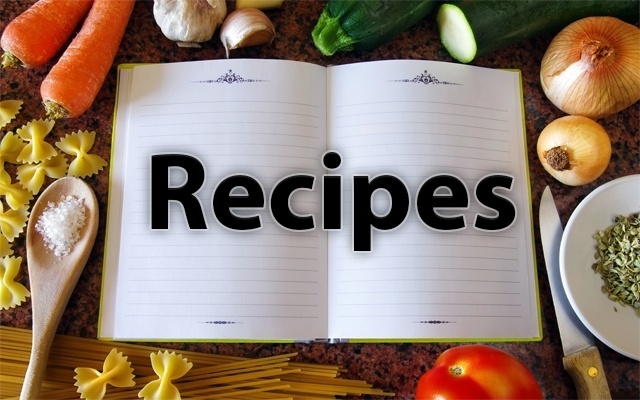 ; and loads of sure-fire recipes that will make your mouth water. Whether you’re a novice at backyard barbecues or a grill master, you’ll definitely learn something new. In this book, the most celebrated pit master Aaron Franklin spills his secrets in creating BBQ worth waiting for. You not only get recipes for deliciously grilled food but also tips and tricks on customizing your own smoker, finding the perfect wood, and how to find your own style. He also shares his own story, the years of hard work and attention to detail which have led him to become a true BBQ genius. His insights will definitely guide you into becoming a pit master in your own right. Smoking is the true BBQ and Steven Raichlen, America’s “master griller” shares his knowledge on how to make the magic happen. In this book, you get a complete guide on the various smokers, the rubs, the marinades, the BBQ sauces, the types of fuel, and mouth-watering recipes from the classics (smoked ribs, pork shoulder, etc.) to the out-of-the-box creations such as smoked chocolate bread pudding. This is truly the Bible of Smoking Foods. The absolute best thing about this book is that you get a lot of step-by-step pictures. And we all know that a picture is worth a thousand words. This is a great book for backyard dabblers. You get the answers to frequently asked questions about grilling basics (like how much coal to use and how to arrange them) and techniques (how to butterfly a lamb or planking turkey burgers) to delicious recipes like duck breast tacos and hickory smoked turkey with bourbon gravy. Whether you’re a Weber fan or not, this cookbook is a must-have for any outdoor chef (wannabe or not). For novices, you get pages of grilling wisdom like how to start your grill and complete explanations on direct and indirect cooking as well as braising, smoking, and roasting. You also get precise and easy-to-follow instructions on how to create masterpieces on your grill. And for the experienced ones, you get a load of “remixed” recipes – old classics with a new twist. In this book, America’s pit master Myron Mixon shows you how to go ‘old school.’ Learn how to make your own coal, build your own pit, and use it to create BBQ perfection. You’ll also get classic recipes on rubs and sauces, various types of meats, and even some cool dishes like old-fashioned pulled candy and smoked blackberry cobbler. This isn’t a book that everyone will love. But if you wish to become a true pit master, you’ll definitely need this. If you’re a kamado grill owner, you should definitely have this book. For new owners, author Chris Grove shares his knowledge and insights on how to use your kamado grill properly, from kamado terminology to vent and fire management. You’ll even get a brief rundown on must-have and nice-to-have accessories. For old hands at kamado grilling, you’ll be delighted to learn all the other cooking methods you can do with your kamado grill. True John Wayne fans will absolutely adore this book. You get some grilling basics and several recipes of foods that the Duke loved to eat, though not all of them are grilled. The recipes are simple and easy to follow but the results are delicious. The best thing about this book are the glimpses of the Duke and his home life, from old family photos to short stories. Definitely a keeper. While this is definitely a book for EGGheads, written by EGGheads, you don’t necessarily have to be a Big Green Egg fanatic/owner to enjoy the recipes in this book. Yes, the book can be a tad self-promoting, especially when it talks about all the things it can do and the EGGcessories you’ll need to help you do just that. But, it must be said that the recipes are amazing, ranging from appetizers and rubs to side dishes and desserts. Best of all, they can be cooked in any ceramic cooker. If you want to perfect your low and slow cooking technique, then this is the book for you. Author Jeff Phillips shares his hard-won knowledge on how to choose and customize your own smoker, how to build and maintain your fire, tips and techniques on smoking meat, and a host of recipes that range from rubs and BBQ sauces to various types of meats. There’s even a section on desserts! When it comes to grilling and BBQ, there’s always something new to learn – tips, tricks, and techniques you might never have considered. These 10 amazing cookbooks from various experts will not only give you recipes to add to your collection but enhance your skills as an outdoor chef. So, get reading and happy grilling!